The insurance market in the Philippines, as well as the level of awareness on insurance products, hasn’t reached full circle. It’s up to insurance companies such as yours to showcase products and penetrate the Philippine insurance market. We live in a digital world where customers search for information as quickly as they make decisions. Google, social media, and even news and blog sites become their main information hub. When your potential clients land on any of these channels, your insurance company needs to be equipped with the right strategy to make sure your brand stays on top of their minds. As the go-to experts for all things digital, we provide the leverage in digital marketing for insurance agents such as yourself. Building your organic presence to make your insurance company appear on the first page of search results. 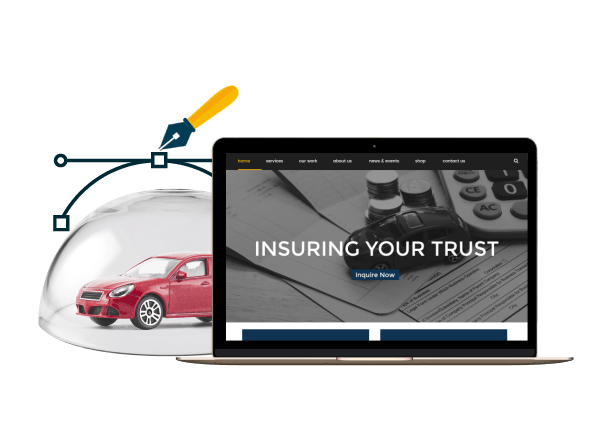 Improving your website – from look to feel – to show what a premium insurance company is all about. The quick way to be the first to appear when your clients are ready to buy insurance from your agents. Leverage the power of social media marketing for insurance agents and show clients why you’re the insurance provider of choice. SEO for insurance agencies is still at its infancy stage in the Philippines – but that’s going to change soon. Large insurance providers are now their traditional marketing tactics with digital strategies to reach their digital savvy clientele. So, if you’re not out there, somebody else will get to your clients first. With insurance agency SEO, you’re solidifying your hold on the online landscape at a more cost-effective rate. Providing performance-driven SEO services for insurance companies is one of the things we love doing. We do our best in understanding how search engines work and following the best practices to ensure clients looking for insurance services will find your business first. In today’s digital world, your website is the best asset you have to outdo the competition. If designed with your target users in mind, your website can serve as an effective lead-generating tool for your insurance business. When it comes to providing insurance agency website design, trust our experts to deliver solutions of high caliber. 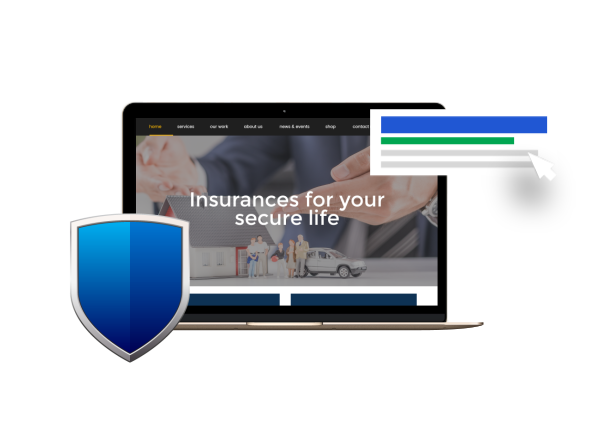 Designed to work across all devices and built using premium WordPress themes, our website design for insurance companies will showcase your brand’s story to clients. Our experienced graphic designers, website developers and designers, and writers work together to deliver a professional insurance agency web design that will scale your online presence. Communication is a core value in our company, and we always extend this to our clients. Expect updates from our experts on all the progress for your insurance company website design. Need quick exposure to get more clients for your insurance company? Your answer is pay-per-click or paid advertising. By leveraging Google Ads, you can expand your marketing channel to get clients who are ready to purchase your insurance services. Using PPC for insurance agencies is highly cost-effective. With a minimal budget, a compelling ad copy, and the right keywords that target audience intent, your insurance company gets highly qualified leads that translate to business. Implementing PPC management for insurance companies takes a great deal of time and skills – both of which we can offer for your business. Our Google Ads certified specialists have dozens (and counting) of PPC campaigns under their belt. When we say expert PPC management for insurance companies, it’s a promise we always make sure to deliver. How effective your PPC campaign will all depend on the research and planning that went into it. We develop a strategy based on research and analysis for every PPC insurance campaign in our care. PPC is all about getting clients at the right moment in their buying journey. 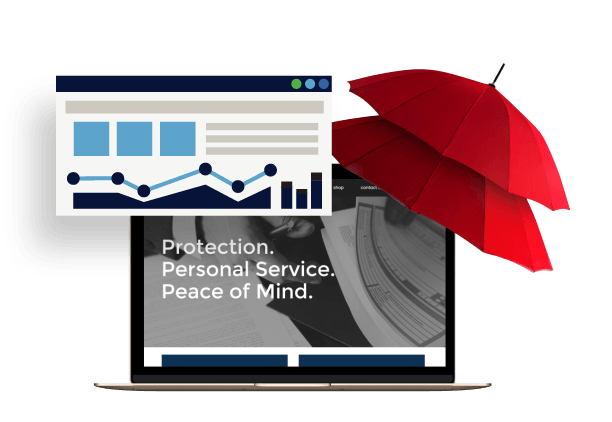 Our PPC services for insurance brokers follows a targeted approach to make sure every cent spent drives business. With the high usage of social media in the Philippines, now is the time for businesses to turn these channels into their hub for brand awareness and engagement. For insurance companies, social media provides them the space to bring their customers closer to their brand. 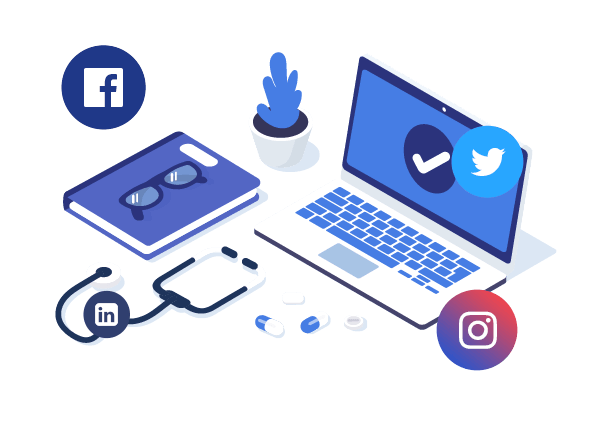 Our social media marketing strategy for insurance companies focuses on increasing brand authority and presence on Facebook, LinkedIn, and Twitter. Do you know what’s the latest buzz? We’ll find out and use this as leverage to bring the attention to your insurance business. Content is the lifeblood of your social media strategy. Our social media marketing for insurance agents leverages content to engage the right audience for your business. Consistency is key to build your brand presence, and this is one thing we’re confident at doing. Our social media specialists consolidate your social media activities across your channels to provide a seamless brand experience for your clients. Find out how we can help your insurance company!